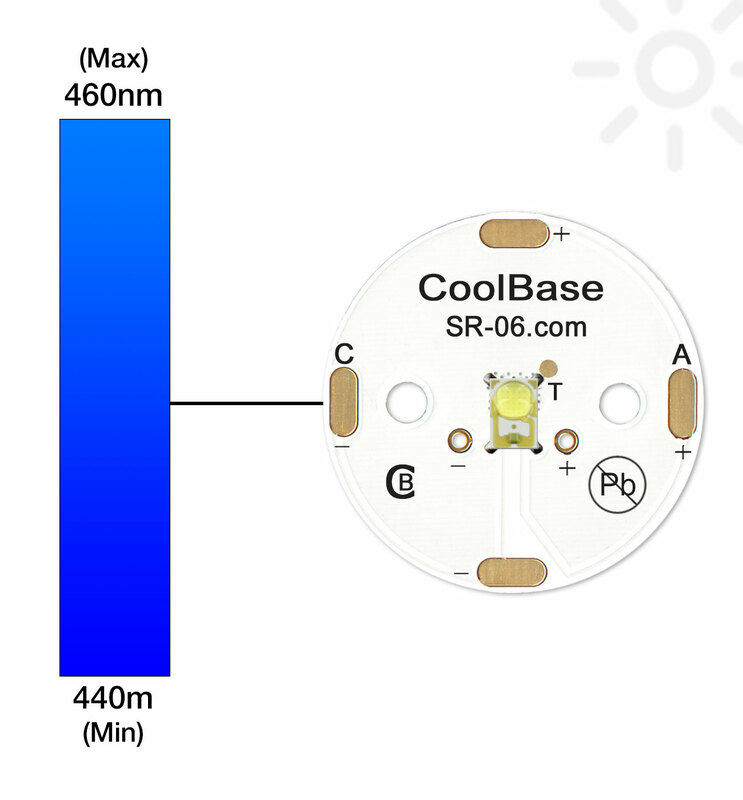 The SR-06-RA900 Rebel Round LED assembly features a single LXML-PR02-A900 Royal-Blue LUXEON Rebel ES LED soldered to our 25mm Round CoolBase. The FR4 CoolBase offers a high efficiency thermal design that matches or outperforms* standard aluminium MCPCB bases. 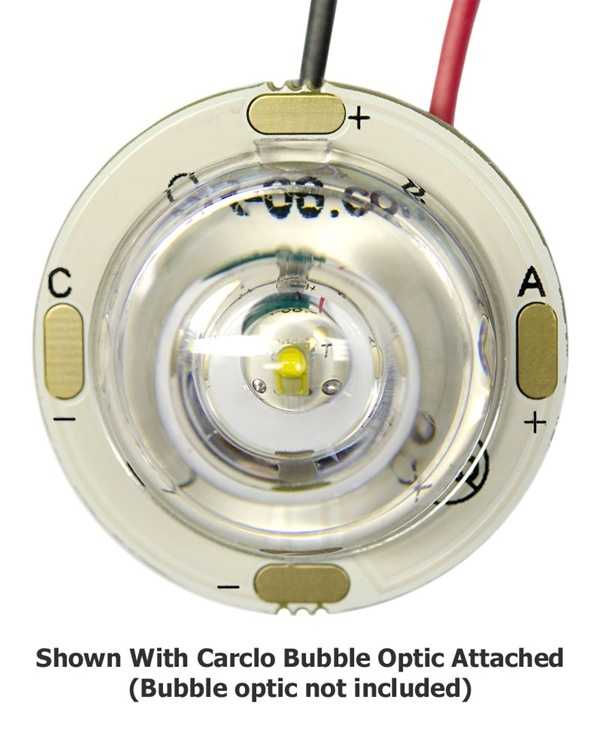 In addition to being compatible with nearly all flat bottomed, single LED optics, the SR-06-RA900 is 100% compatible with all Carclo Hemispherical Bubble Optics - a series of extremely wide angle lenses that can evenly distribute the light generated by the assembly by 120° to 180°. The SR-06-RA900 can be ordered in any quantity with quantity discounts available.